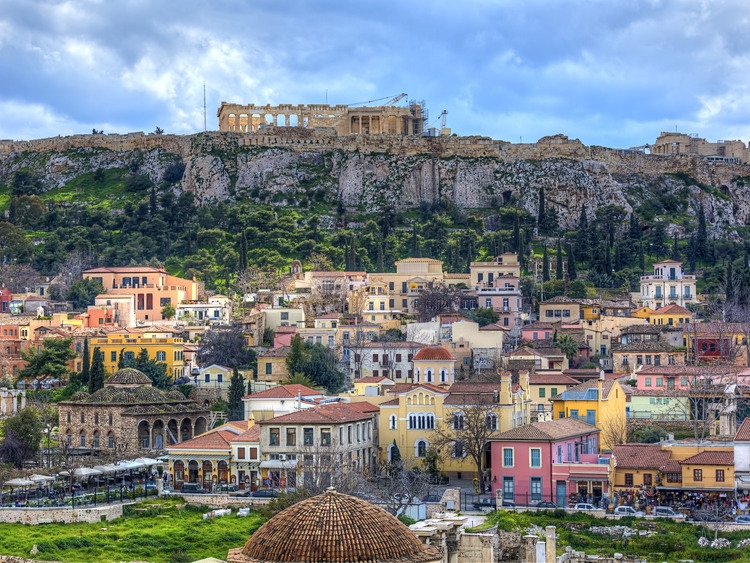 A fascinating coach tour of Athens that offers the perfect opportunity to see the city’s main attractions and learn about key events in the country’s history in complete comfort. We set off by coach from port of Piraeus and skirt the ancient naval harbour of Zea, which was built by Themistocles in the early 5th century BC as a defence against the Persian Empire. We then make our way along the enchanting seafront at Mikrolimano – which means “little port” in Greek – where the docked fishing boats provide the backdrop to a fairytale scene. Our route then leads us into the centre of Athens where, nestled among the modern buildings of this bustling, cosmopolitan city we find countless monuments of major historical importance, such as the Temple of Zeus, the Panathenaic Stadium, the University, the National Library, Syntagma Square and the Greek Parliament, Vasilissis Sofias Avenue and the Presidential Palace. Having reached the first of these, once the most splendid, and famous temple in the ancient world, we have some free time to take some wonderful photographs. We then continue to Athens' oldest neighbourhood, Plaka, where we find a heady mix of neoclassical buildings, actual classical monuments and characteristic shops that seem forgotten by time, all interspersed with traditional restaurants, cafés and boutiques. Our guide then accompanies us to the street known as Adrianou, where we will have some free time to explore the neighbourhood or do a little shopping before meeting up with the rest of the group and setting off for a panoramic tour of the centre of Piraeus. The history of the city of Piraeus can be traced back to Ancient Greece. Shaped by its location and the nature of the landscape, its fate has long been tied to that of Athens, with highs and lows over the millennia leading, ultimately, to its status today as the largest port in the country.